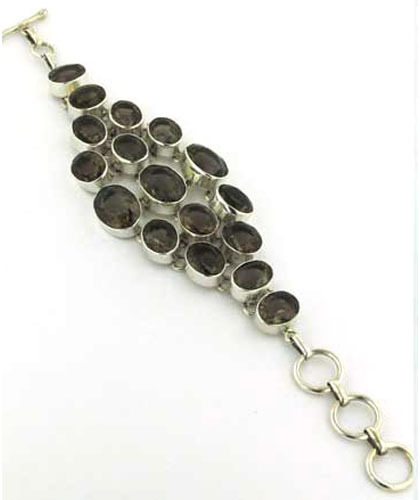 Statement smoky quartz and sterling silver bracelet. 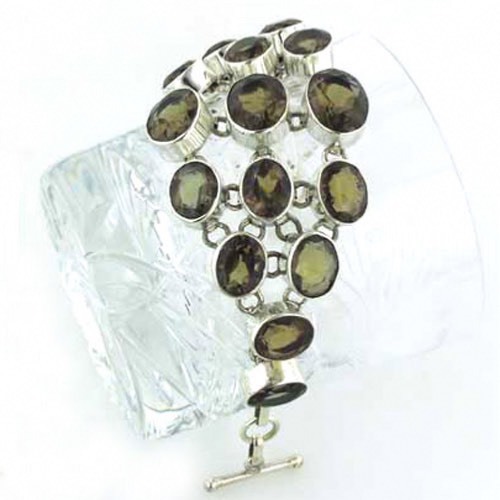 What a spectacular bracelet this is - a perfect choice if your taste is for dramatic, bold jewellery. 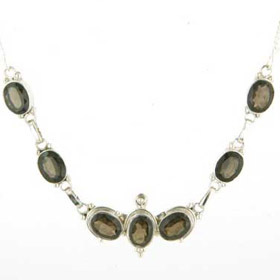 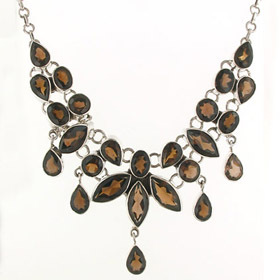 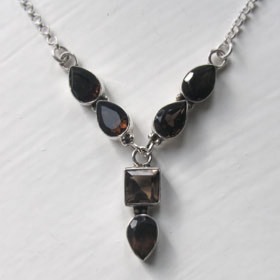 Each sparkling smokey quartz gemstone is diamond cut and deep set into sterling silver. 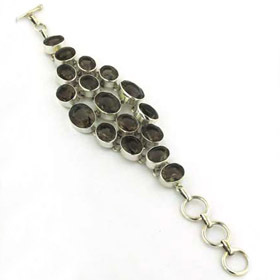 A lace-work of links at the back of the gemstones holds them into the diamond shape but allows fluid movement around the wrist. 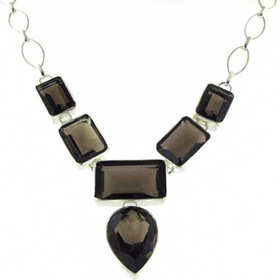 Smoky quartz works beautifully with neutrals and is a perfect foil for brights. 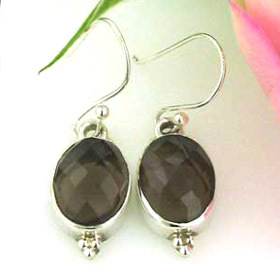 See also our smoky quartz earrings and smoky quartz pendants for coordinating pieces.